Universal Orlando Resort’s newest theme park experience, The Wizarding World of Harry Potter – Diagon Alley, will be opening July 8th. I can’t wait to return to Orlando to see this amazing addition to the park. As you know, we recently visited Universal Orlando Resort and the Harry Potter rides were my absolute favorite part. They are amazing! If you are ever able to travel to Orlando you absolutely must stop here. Universal Orlando Resort announced that guests will be able to cast spells and watch magic come to life in both The Wizarding World of Harry Potter – Diagon Alley and The Wizarding World of Harry Potter – Hogsmeade with brand-new Interactive Wands. Fun! 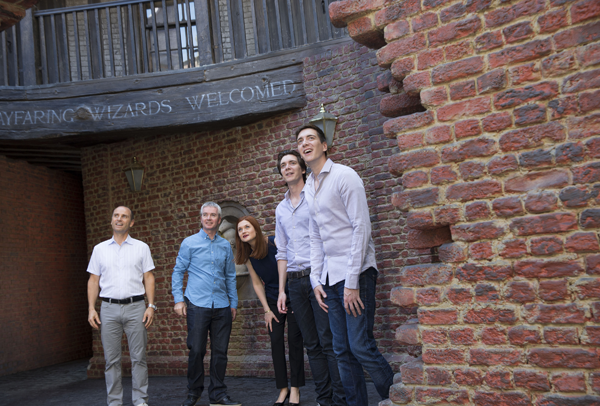 Come behind the bricks and see all the amazing moments from the Diagon Alley Preview Week in the video below. Be sure to tune in June 30th to NBC News primetime to watch Harry Potter: The Making of Diagon Alley, with Meredith Vieira. Full press release below. NEW YORK – June 26, 2014 – In anticipation of the July 8th Grand Opening of Universal Orlando Resort’s newest theme park experience, The Wizarding World of Harry Potter – Diagon Alley, Meredith Vieira will host Harry Potter: The Making of Diagon Alley, an NBC News primetime special produced by Peacock Productions. 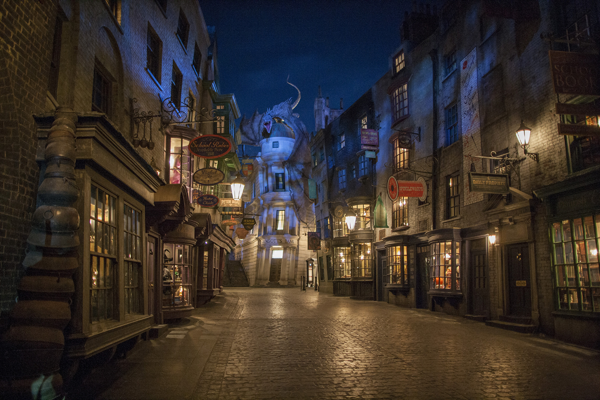 Vieira gives viewers a behind-the-scenes look at the design and construction of The Wizarding World of Harry Potter – Diagon Alley, the latest manifestation of the multi-billion dollar cultural phenomenon of Harry Potter. Harry Potter: The Making of Diagon Alley chronicles the remarkable four year journey leading up to the highly anticipated unveiling of this new theme park experience. Meredith Vieira details the tremendous global effort and groundbreaking technology involved in creating Diagon Alley, from the initial conception, development and construction of the biggest attractions, down to the most fascinating details of the massive operation. The NBC News primetime special provides behind-the-scenes access and interviews with the cast of the Harry Potter films, including Bonnie Wright and James and Oliver Phelps, as well as in-depth interviews with the creative team that brought J.K.Rowling’s enchanted world to life for guests. Universal Orlando Resort and NBC News are both owned by NBCUniversal. Harry Potter: The Making of Diagon Alley is produced by NBC News’ Peacock Productions. Sharon Scott is President and General Manager, Elizabeth Waller is Executive Producer, Andy Cashman is Senior Producer of Peacock Productions. This would be awesome to go see in person. Going to ask for this trip from the family for xmas. We have not seen the new section yet. We were there a few days after they opened originally and then 2 summers ago. It was awesome! OMG this is awesome! I hope to see this also but I live in Finland! I wish I could download it from somewhere. Great review. This makes me want to go even more than I already did before!